Another one that I remember nothing about. Just got my Linux box back up after several months down after the os hard drive going out and found this on the storage hard drive. If anyone knows anything let me know in the comments. 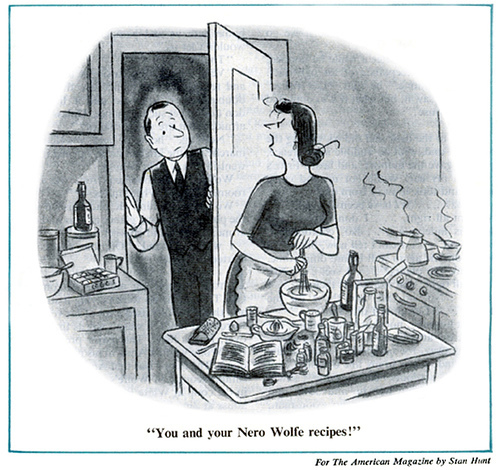 After making several of the recipes from the Nero Wolfe Cook Book I do sympathise with her! First – I always have to visit at least 2 or 3 stores for different things that we are out of or don’t keep in stock. Second – the kitchen is always a disaster zone afterwards.